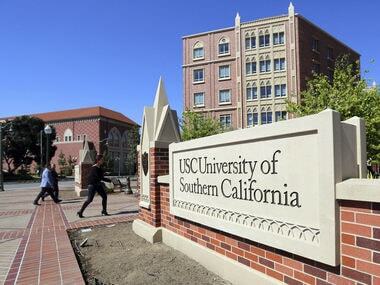 Los Angeles: The University of Southern California on Wednesday announced a new school president who will usher in "a new era" following a series of high-profile scandals that culminated last week with a massive college admissions bribery case. Carol Folt will become the university's 12th president on July 1 following a lengthy nationwide search. The announcement comes a week after news broke of a college bribery scandal involving USC and other universities across the country. Folt had also inherited an academic scandal at UNC, which included bogus classes and inflated grades for athletes dating back years before her arrival. While internal and external probes had occurred before she arrived at Chapel Hill, Folt was leading the school in 2014 when it hired an outside attorney who later determined the problems dated back 18 years and affected more than 3,100 students, half of them athletes. Earlier this year, Folt ordered the statue's empty pedestal be removed and put in storage, while also announcing plans to resign. She had planned to stay on until the end of the academic year, but was forced to leave at the end of January after the chairman of the statewide university board complained about her decision to remove the remnants of the statue.